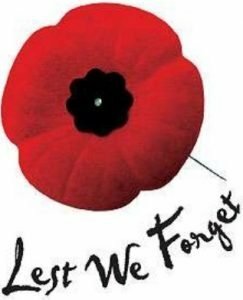 Historically, Veterans Day used to be called Armistice Day, commemorating the ending of World War I on November 11, 1918 (the 11th hour of the 11th day of the 11th month.) At 5 am on that day, Germany signed the Armistice (truce) in the Forest of Compiegne and the order was given for a cease-fire, after four years of war. In the United States in 1919 President Woodrow Wilson issued an Armistice Day proclamation, but it was not until Congress first passed a resolution in 1926, and then passed a bill 12 years later that it became a federal holiday. But WWI, “the War to end all wars” was not the final war, and of the 16 million who served in WWII, more than 400,000 died. Birmingham, Alabama organized a “Veterans Day” parade on November 11, 1947, to honor all of America’s veterans for all wars. In 1953 townspeople in Emporia, Kansas called the holiday Veterans Day in gratitude to the veterans in their town. Soon after, Congress passed a bill introduced by a Kansas congressman renaming the federal holiday to Veterans Day. In 1954 President Eisenhower proclaimed November 11 as Veterans Day asking Americans to rededicate themselves to the cause of peace. 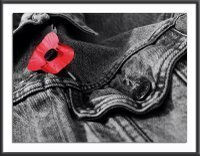 to benefit veterans, the poppy being a symbol of sacrifice, referring to the Flanders poppy fields of WWI. It is said that in old age, two things happen: first, you begin to lose your memory, next… I can’t recall right now. I for one am in favor of memorials, tributes, and parades. Let us remember, recognize, and preserve the memory of those who came before us and what freedoms we now enjoy because of their sacrifices. This is one of the reasons I created a tribute webpage for my father, a World War II soldier and hero who liberated the concentration camp at Dachau. HBO picked up his story and had featured it on their website back when they ran the Dachau episode of the Steven Spielberg/Tom Hanks miniseries Band of Brothers, based on the novel by Stephen Ambrose. Get yourself a copy of the DVD and watch it. It will be good for your memory. Some have said that we are raising up a generation who knows less about their own history than any generation before them. Let that not be our legacy for the future. My son will be leaving for the Army next month, and my fahter has served 30 years in the Army as well. I got your 6 all the way. Am proud to be an American daughter and now Mom.